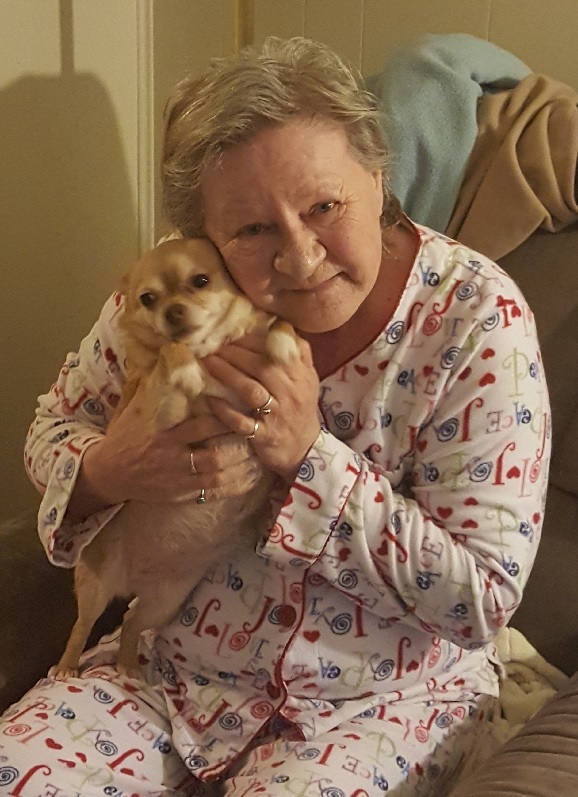 "Poko is my baby I’ve had her since she was 2 months, she’s 8 years now, I can’t imagine my life without her, she’s family along with my cat, it’s just all girls at our house, we take care of each other"
Congregate program serves hot meals in various locations throughout Yakima County. Our meal sites offer a chance to meet new friends and enjoy healthy, nutritious meals in friendly surroundings. Transportation is available to our dining rooms in most locations if needed. We suggest reservations be made at least the day before you plan to attend, by 3:30 PM, to assure that a meal will be there for you. Hot Meal program drivers deliver a hot nutritious lunch on M/T/Th/F (Tue. deliver extra frozen meal for Wed and Fri. deliver 2 frozen meals for the weekend) and at the same time provide a safety check. Frozen Meals program is available on a weekly basis for those seniors outside of our delivery area. Weekly meal delivery is available for those that need it. If delivery is not an option to the senior then a family member or friend can pick up the 7 day frozen meals once a week at one of our dining rooms or central office. Meals-for-Pets program provides dog and cat food, at no cost, to active seniors on any of the above programs. (Income requirement for congregate program). Senior Pet Companion program provides a wide range of services to our home delivery seniors such as pet owner education, limited veterinary care and pet transportation to vet appointments, assistance with spay and neutering, grooming, walking and when that time comes that the senior can no longer take care of their pet companion... pet foster homes and adoptions services are available. There is no cost for these services. If you can’t imagine life without your pet, think of your pet’s life without you!Senior Pet Companion Program is coordinated through Wags to Riches animal rescue and sanctuary.